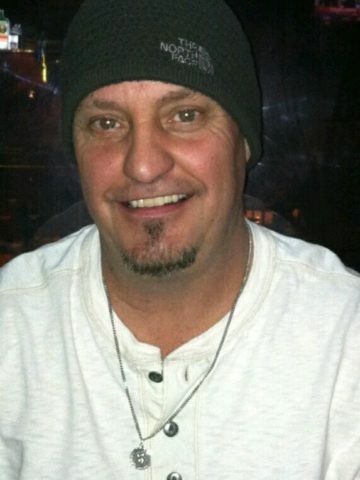 Samuel Lee Housley, Age 55, Kingston Springs, April 8, 2019. Preceded in death by his mother, Shirley Housley Daugherty; father, Samuel U. Housley; brother, Joseph Scott Housley. He is survived by his brother, Lonnie D. Housley (Donna); sister, Renee Housley (Jim); nieces and nephews, Samantha, Shannon, Joey, Chase, Erica and Josh; great-nieces and nephews, Summer, Ryan, Kenli, Jaxson and Wesli Mae. A visitation will be from 5-8 p.m. on Wednesday, April 10, 2019 and 1-2 p.m. on Thursday at Harpeth Hills Funeral Home. A Celebration of Life Service will be at 2 p.m. on Thursday at Harpeth Hills Funeral Home. Interment will follow at Harpeth Hills Memory Gardens. Gonna miss you , Housley. We had some fun times together cheering on those Commodores . God speed to Lonnie and the family . Go Dores ! Anchor Down ! I hadn’t seen Lee since high school and was glad to reconnect through social media. He was one funny guy. Sending thoughts and prayers for comfort to all who were close to him. My sincerest condolences. My condolences to lee family .. sending prayers for comfort and strength .. went to school with Lee he was a great guy .. So sorry to hear this. Lee was always a great guy. Your going to be missed, haven’t seen you in years but always remember the smile. Your whole family always felt like family to me.rest in peace till we meet again. My love goes out to Lonnie &Renee. Hate to Hear this. Lee was a Great Guy! Prayers for his Family! I am so very sorry for your loss Lonnie and Renee, my heart goes out to you both. I can’t imagine the greif you guys are going through. I know it’s hard losing your mother but then not a week later your little brother. Lee (Leebo) was a great friend to me right before my son died he came by our house just to cheer Anthony up they would argue about NASCAR drivers but at least he knew how to play and make him happy. I loved him for that. He was a very loving person and I know the world is losing a Angel on earth but gaining one in heaven. Lee loved everybody and everybody that knew him loved him too. So my prayers are with you guys and if you need anything please let me know. R.I.P. LEE AND MS SHIRLEY We loved you both so much. Sorry to hear of the loss of a good friend and former co-worker, may you Rest in Peace Lee. You will be missed. very sorry for your loss he was a good man well loved by all david brown kim and miranda brown prays with you! Praying for you all! God Bless Lee and the family So very sorry to hear this. Loved this family! May you rest in peace. Always thought a lot of Lee. No more pain! We are truly sorry for the loss of Lee. Our loving Creator wants to comfort you with his promise that he makes through his son, Jesus, who states, “Do not be amazed at this, for the hour is coming in which all those in the memorial tombs will hear his voice and come out.” (John 5:28,29) May this promise of a resurrection bring you comfort and hope for the future.